Who do you prefer in 2012 US Presidential Election? 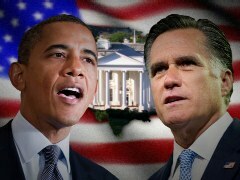 Who will win 2012 US Presidential Election? Election forecasting is a popular activity. See, for example, Big Data Analytics Predict Obama Win - two different models by different professors both predict Obama win. Among more quantitative forecasts, The Intrade market on Barack Obama to be re-elected President in 2012 gives 74.6% probability for Obama re-election. 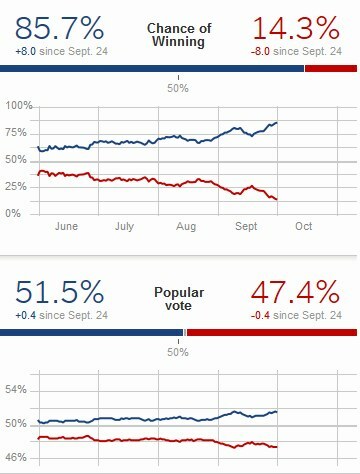 Nate Silver 538 blog estimates Obama chance of winning at 85.7% as of Oct 2, 2012.